The stuffed-pepper soup was good, but not what I'd expected. I decided, instead of using the recipe I'd linked, to use the same ingredients I use for stuffed peppers, but make it soupier. The way it turned out, the rice absorbed all of the liquid. It wasn't soupy at all, but was more like the "inside-out" stuffed peppers I've made in the past. Speaking of peppers, what happened to the price of peppers this week? Red peppers were $2.99/pound and green peppers were $3.99/pound! I would have used about three peppers in the "soup," but I settled for one this time. Yesterday I heard a pair of radio personalities, on air, having a conversation that was obviously scripted to advertise a product. It wasn't identified in any way as an advertisement, but written to sound like a natural conversation. Why is it that I, as a blogger, have to disclose every relationship or potential conflict of interest, and broadcast professionals--whose audience is exponentially larger than mine--do not? I'm not trying to make waves; I'm just curious. Roller coasters are not my friends. I don't remember if it's always been that way, or it started when I lost a contact lens on a ride. (Spent the rest of the day with clear vision in one eye, blurry vision in the other.) 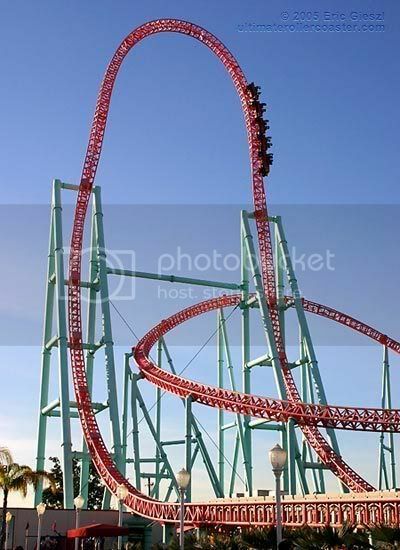 On the rare occasion that I ride a coaster, I spend the entire ride with eyes closed and mind focused on one thought: "Please be over, please be over ...." Now that my life feels like a roller coaster, I'm tremendously thankful for family and friends who are willing to take this ride with me. Just having someone next to me makes it a little more tolerable. On a lighter note, we've got some fun reviews and giveaways in the works! I thing regulations are made for the little people so the regulators can say they are controlling things. It's really just a distraction from what should be controlled! Thus, I so hate advertisements. My hubby is even worse than I on that subject. I've heard him say at least 100 times, How can they say that! Have a great day!